Holiday Week Like Never Before! Ramoji Film City is in festive spirits as Hyderabad is all set to celebrate its long week holidays starting with the 2nd Anniversary of Telangana Statehood. Book your tickets soon for the Grand Funtazia Carnival & pack your bags for your leisure stay in Sitara Luxury Hotel & Tara Comfort Hotel. 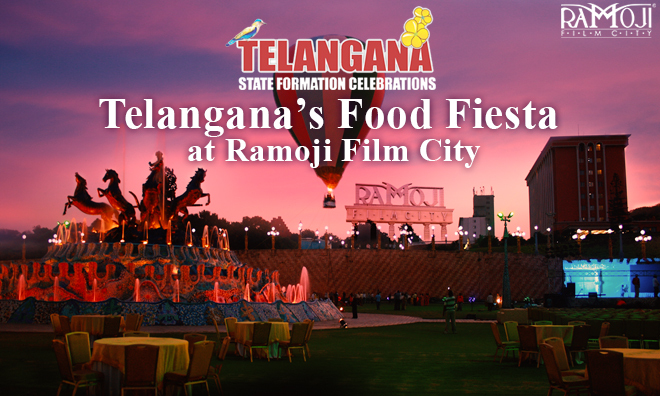 With the festive air of Telangana Formation, Ramoji Film City has specially customized exclusive Telangana Menu.Chance upon to see the festive spirits & relish authentic flavors of Telangana.Â Enthrall your taste buds with the delectable Telangana Cuisines made with authentic Â ingredients with the perfect choice of Veg & Non-Veg Menu. Your film city tour would remain most memorable as you never miss the chance of visiting our attractions in the festive air & ultimate Telangana’s Delicacies. 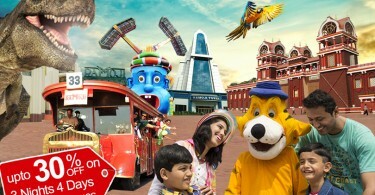 This is the perfect time for the fun tour of Ramoji Film City with your families & friends.